Came across this ambient idea for Polo. 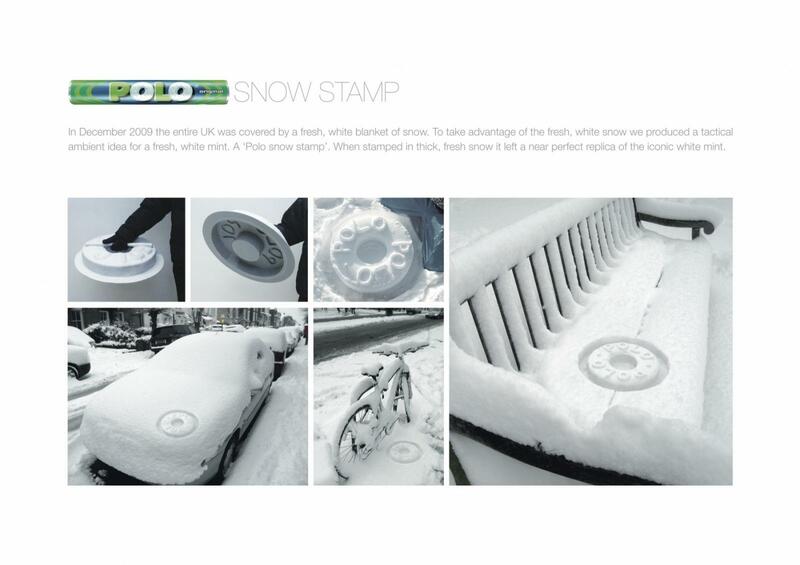 In December 2009, when UK was covered in snow, the creative minds behind this campaign came up with a simple, yet show-stopping idea: imprint the Polo stamp on the white snow – leaving behind a replica of the actual mint. Cool. Quite like the recent Universal Studios’ ambient idea for King Kong 3D. While the King Kong one had a jaw dropping effect, this one brings a smile on your face and strenghtens the equation of a cool mint.